However, the fact remains that there are over 6000 rare diseases, an estimated 30 million people living with a rare disease in Europe and 300 million worldwide, but no cures and few treatments available for the majority of these diseases. Rare Disease Day 2019 offers participants the opportunity to be part of a global call on policy makers, researchers, companies and healthcare professionals to increasingly and more effectively involve patients in rare disease research. Great efforts are being made to take rare disease research to an international level. Only by doing so can we guarantee rare disease research will be truly effective. In turn, this will contribute to increased and faster diagnosis of rare diseases and therefore reduce the number of people around the world who face the daily challenge of living with an undiagnosed rare disease. EthansCure was present at the Ohio Capital in Columbus supporting Rare Disease Day. 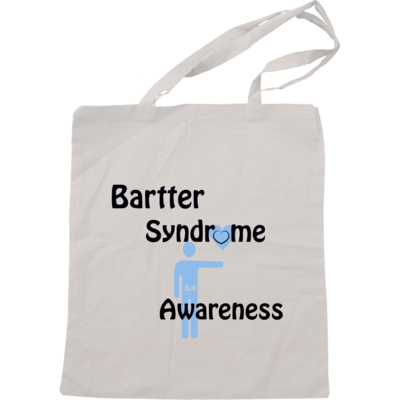 We would like to thank NORD for organizing the event and helping us all to raise awareness for barter syndrome. Daniel Hoffman spoke on behalf of EthansCure educating those present on Bartter Syndrome and Tier 3 Drugs. Please get involved and help us bring light to a very dark field. Contact your State Representative or Congressman, join our Facebook or other social media sites to grow our community. We would like to thank all of those for their support this year and joining our coalition against this disorder. May you all have a blessed Christmas and may next year bring us closer to the Cure. Happy Holidays!!! Chairwoman Jones and members of the Senate Medicaid and Health and Human Services Committee; I would like to thank all of you for allowing me to testify today and personally thank both Senator, Cafaro and Schiavoni for introducing Senate Bill 281 to the Ohio Senate; nominating the month of May as Bartter Syndrome (BS) Awareness Month. BS is a rare genetic kidney disorder that renders the human body incapable of absorbing Potassium, Magnesium and Calcium. The damage caused by BS on a cellular level adversely affects the body and damages the immune system, muscle growth, and neuronal function. BS often results in intellectual disabilities, short stature, vomiting, muscle spasms, hearing impairment, frequent urination and thirst, and can lead to renal failure or cardiac arrest. HOWLAND - It's not just a handprint on a poster. It's a mark of support for people who suffer from diseases most people never knew existed. Students at North Road Intermediate School in Howland joined painted hands to help raise awareness of conditions such as Bartter Syndrome. There's only a one-in-a-million chance that someone will be affected by Bartter Syndrome, a rare type of kidney disorder for which there is no cure. Their classmate, fourth-grader Ethan Hoffman, deals with it every day. 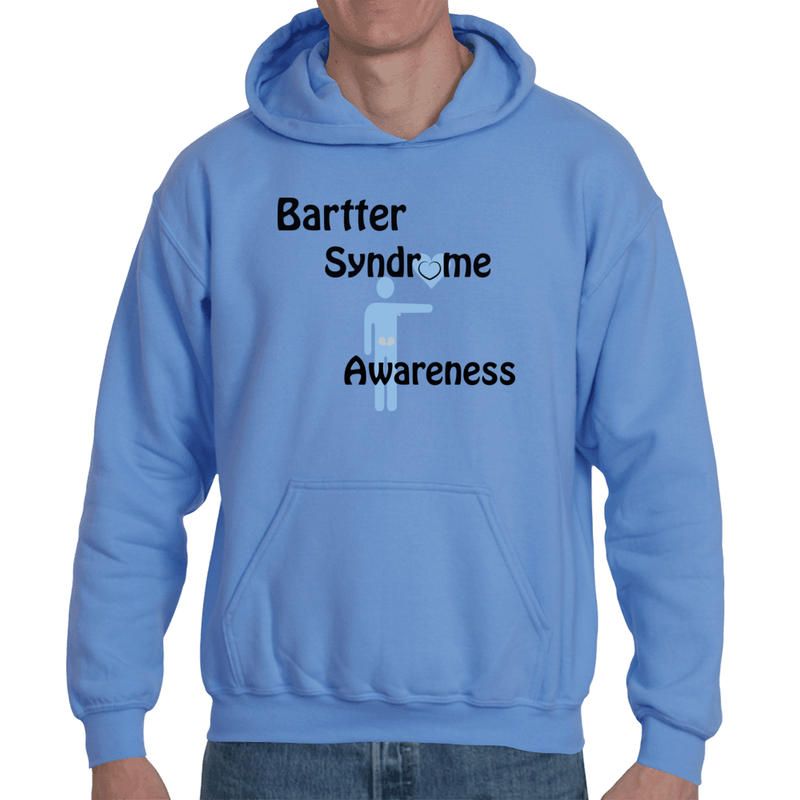 Capri Cafaro, District 32 of the Ohio Senate has agreed to co-sponsor and conduct a joint resolution with Senator Joe Schiavoni to promote an Awareness Day for Bartter and Gitelman Syndrome. We met with Senator Cafaro shortly after our meeting with Senator Joe Schiavoni. The Bartter Syndrome Foundation would like to personally thank both of them for their assistance in making our dream a reality. Senator Joe Schiavoni, District 33of the Ohio Senate has agreed to assist the Bartter Syndrome Foundation in creating an Awareness week for Bartter and Gitelman Syndrome. 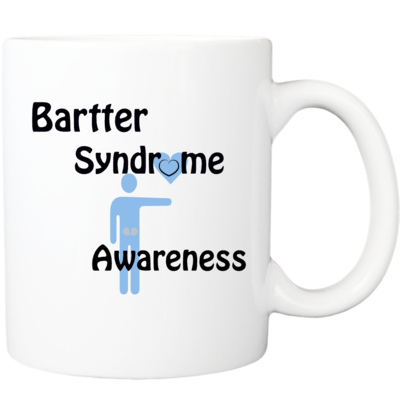 Senator Schiavoni has proposed a resolution for nominating a week in the month of May to be dedicated to spreading awareness and advocacy for Bartter and Gitelman Syndromes.